If you would happen to drive by my house, this big blue barrel at one corner may catch your eye. What in the world is growing in there? 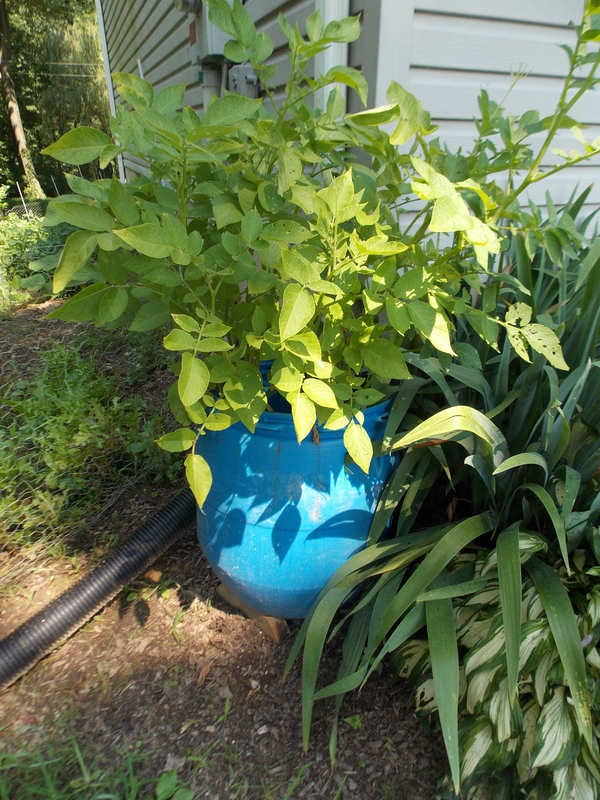 I had found this article on Pinterest this spring and was pretty intrigued by the idea. 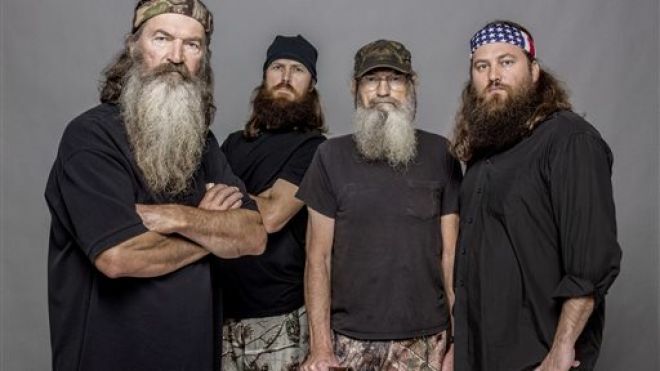 I believe they’re almost ready to dig up. Actually, scratch that. When you think they’re ready, you can simply dump out the contents of your barrel/container and the potatoes can just be picked up. We did plant a good bit of potatoes the “regular” way, over at our garden plot, which is on my in-laws’ farm. My big boys and I, along with the help of my father-in-law, dug up a bunch of red-skinned potatoes about two weeks ago. Beets. Lots of them. 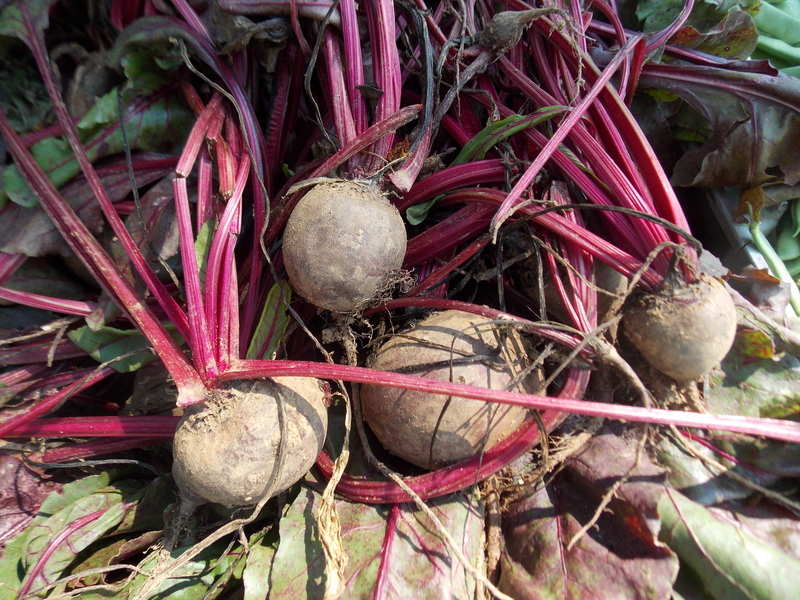 I love beets, which is a good thing since we’ve had so many! Beans. These are some really cool purple ones that we tried out this year. When you cook them at all, they turn green! More beans. 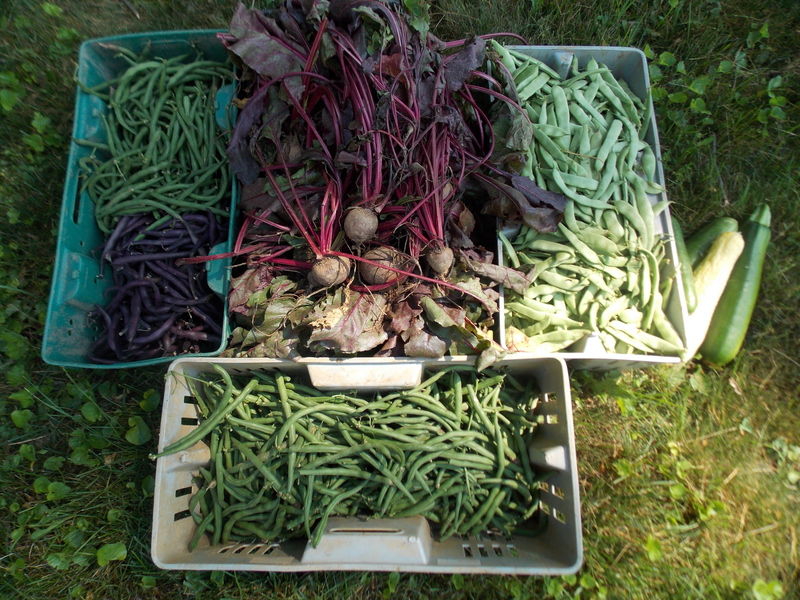 This is a haul we picked one morning last week. 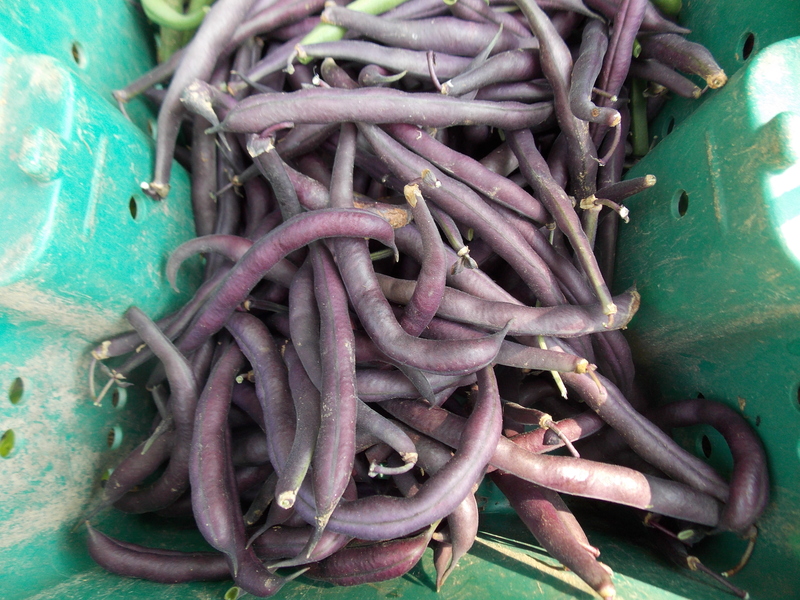 Here we have plain old green ones, yellow, purple, and flat Italian green beans. Oh yes, there’s nothing like picking beans in almost 100 degree, humid weather. When we were done, my son Andrew offered me a long drink from the water hose. Um, that’s okay dude, I have a water bottle! I did tell him he could spray me down with it though. He got excited and was like, “Really?! ?” Believe me, I could have used a good hosing down after that picking session! 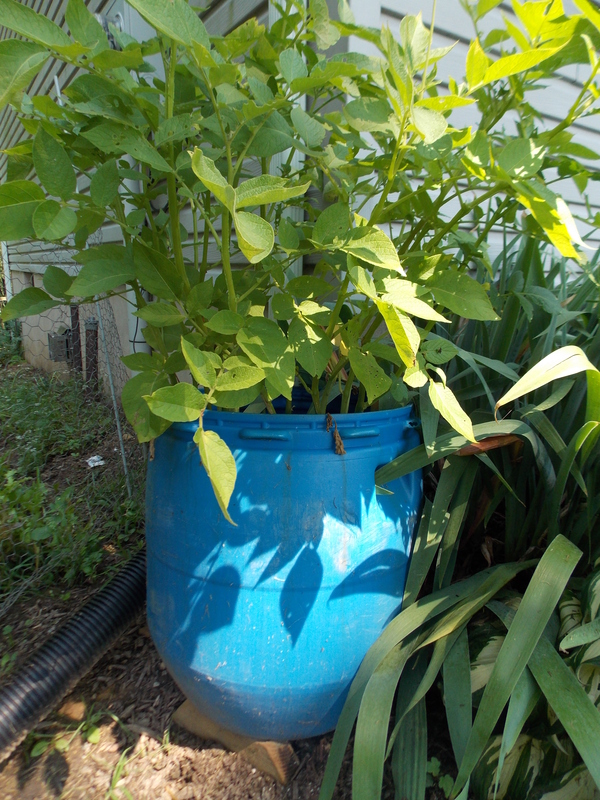 We snapped our beans down in the basement later that day, and I ended up being able to freeze quite a few quart bags. We also have some squash, zucchini, cucumbers, and tomatoes are just starting to turn. Sweet corn is getting ready too, so I’m sure we will have a huge corn-freezing day coming up soon. In August we usually also can peaches and lots of tomato products. Last year our homemade spaghetti sauce was the BOMB, so maybe I’ll do a tutorial on that sometime soon. My Aunt Beverly calls us over. At that moment, a friend of ours (also extremely big and burly) grabs my new husband from behind. I was all like “What the…?” when I feel myself being lifted up by my elbows and see my Uncle Wayne on one side and my Uncle Frog (his real name’s Bob, by the way but I’ve always known him as Frog) on the either side of me, both with an iron grip on my arms. They half toss me (only because they’re super strong;)) into my Uncle Frog’s farm pickup. “Well Raquel Welch, (that’s been Frog’s nickname for me since I was little. I have no idea why, other than the fact that my name’s Rachel. Rachel, Raquel.He also calls my Dad Jesse James and my brother Honky Baloney. Everyone gets a cool nickname in this family.) 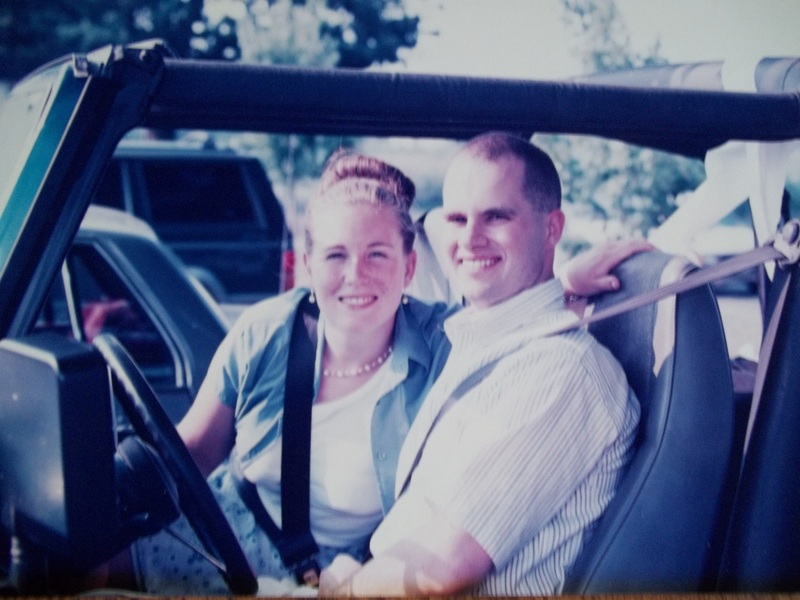 we’re going to go for a ride.” Before I know it, we’re pulling out the parking lot of the church, and I still have no earthly clue what’s going on. Thanks for tuning in, and try to keep cool! PS-And they lived happily ever after. Today I am sharing a repeat post from this time last year. 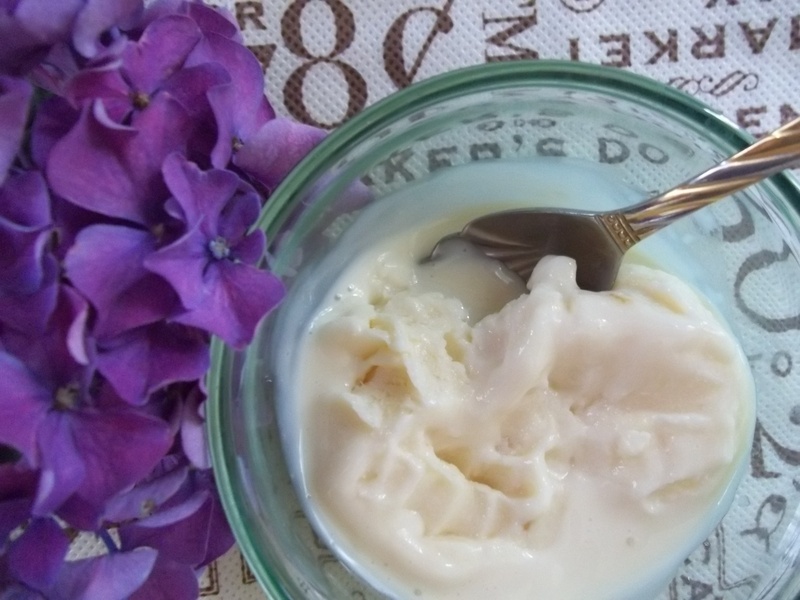 It is a really good recipe and since we have been in ice cream mode here lately, I thought I’d share it again! I’m so excited to share this recipe with you all today. In the summertime I am an ice cream junkie and this one totally gave me my fix for the day. That is, until the day after that, when I remembered how darn good it was and wanted to make more. 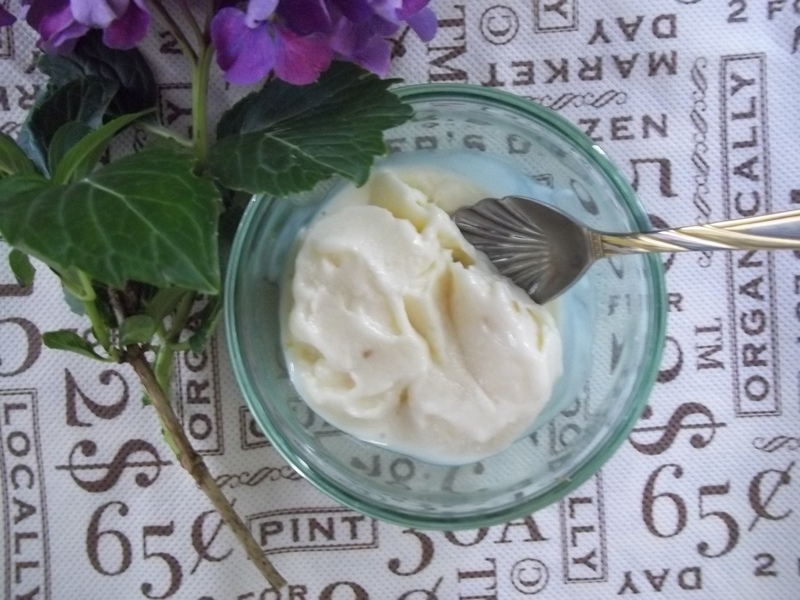 This is a sweet, rich, tasty ice cream that’s a snap to make. Oh, and you don’t need a fancy ice cream maker to whip it up either. Sweet! I got the recipe from Taste of Home magazine, which called for it to be made into popsicles. I tried that and they didn’t freeze hard enough in my popsicle molds, so I just scooped it out and put it in bowls. Works for me! We savored every bite of this dessert until it was all gone. Place all ingredients into a bowl and whisk until sugar is dissolved. Spoon into smaller bowls and freeze for 6-8 hours. Enjoy! 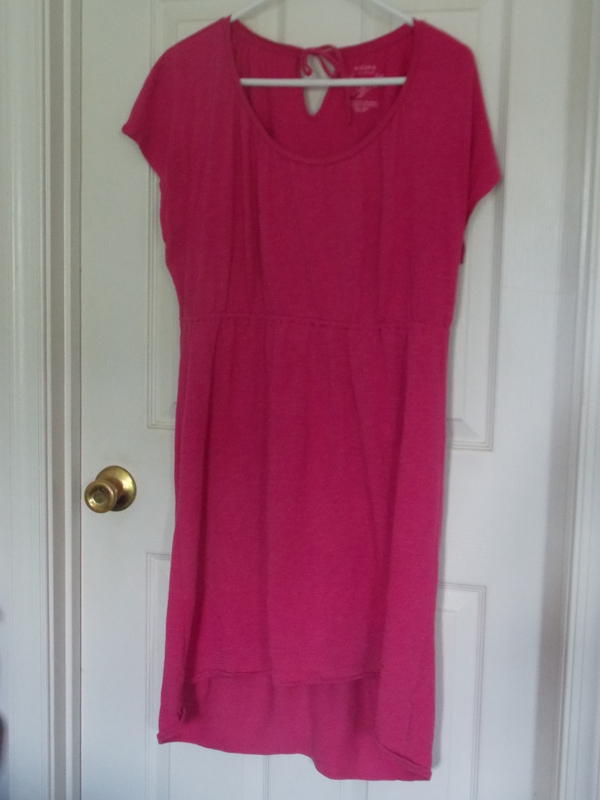 I was excited to find this pink knit cotton dress on the Kohl’s clearance rack for $2-something this winter. The first time I put it on this summer, it fit just right. Comfy, and most importantly, just the right length. My husband came home and admired it on me, calling me his Pinkalicious woman. 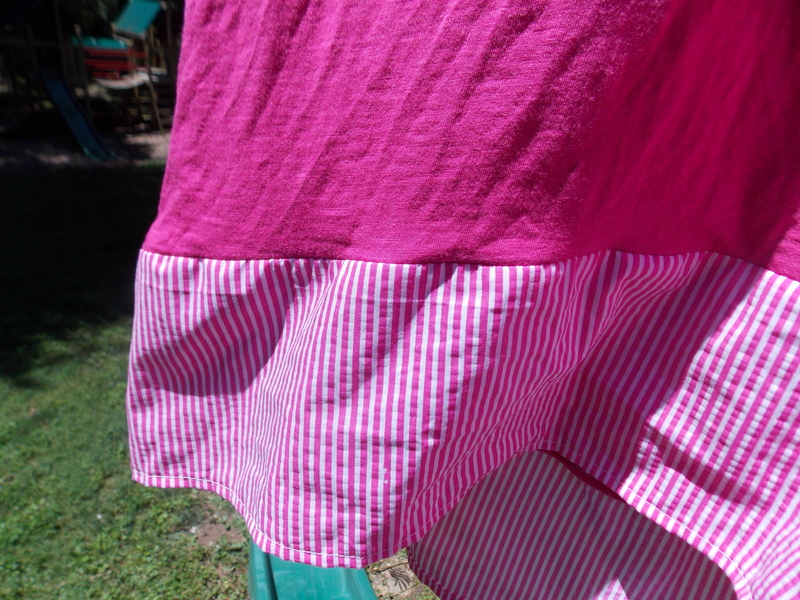 As you can probably see, it has the high-low type of hemline (higher in the front, longer in the back). Well, after one washing, that hemline rose, I swear about several inches! I tried to wear it again, but thank God I didn’t go anywhere but out in our yard. At 5’10”, most dresses or skirts that look like a modest length on other women fit me about mid-thigh or so. Yep, I can rock the long stuff, but have to be super careful about how other things fall on me. So, after bending over to weed a flowerbed and feeling like I was overexposing myself, I went in the house and quickly changed. That’s when the idea to add a fabric band around the bottom came to me. 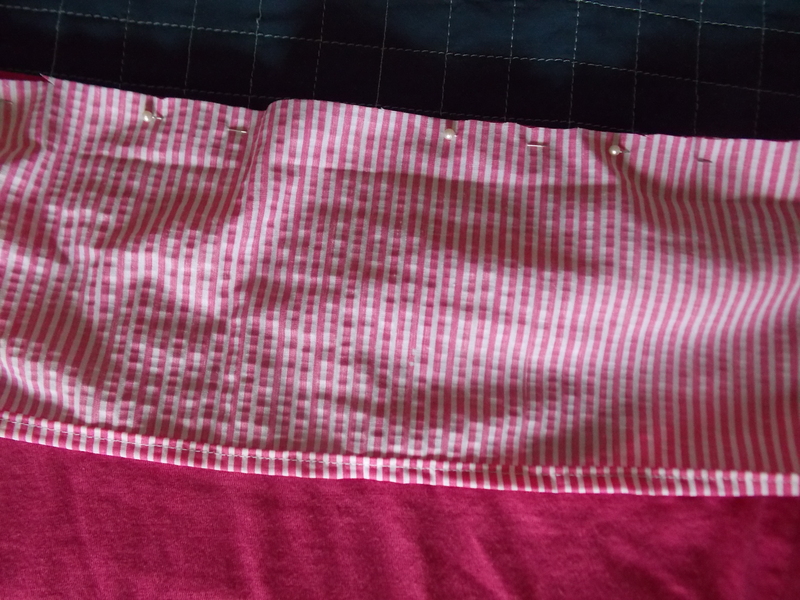 Upon raiding my fabric stash, I settled on this pink and white striped cotton. 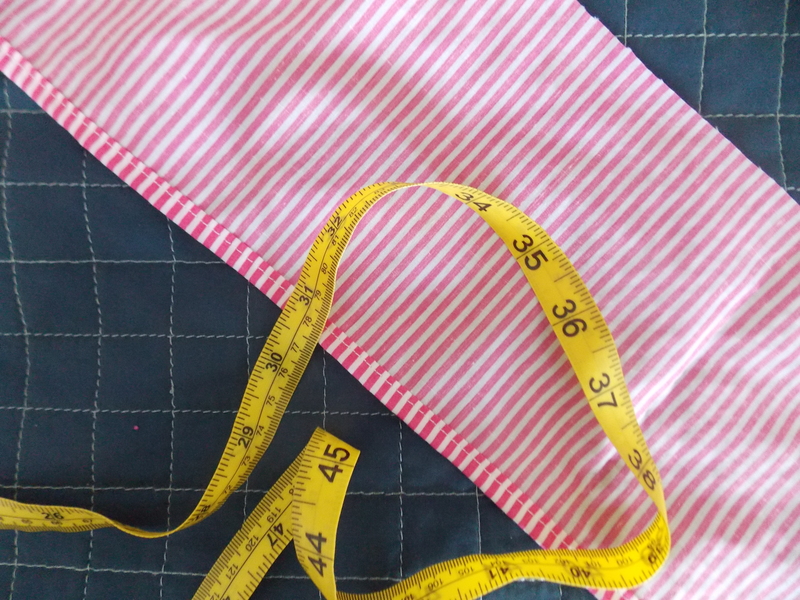 I measured the circumference of the bottom hemline, then cut that much plus a bit extra, while making sure it was a few inches long as well. After cutting, I folded one long end in 1/4″, then another 1/4″ and pinned along the whole thing. One straight shot of sewing and the new bottom hem was complete! Once that was done, I measured what I had against the bottom hem of the dress. They had to line up exactly for this to work out!! I made one short seam along one side of the new fabric band to make it a circle. Then, pinning right sides carefully together, I sewed the new band onto the bottom of my dress. 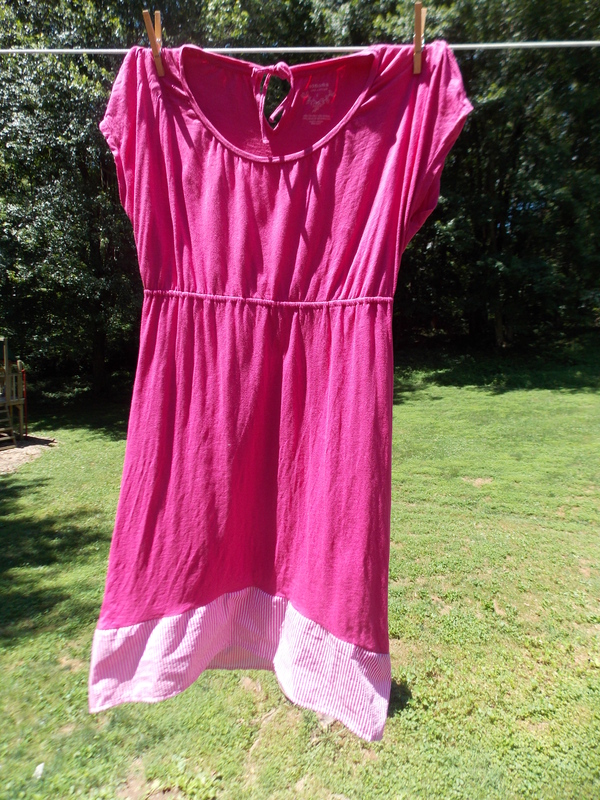 My newly updated pink dress, blowing in the breeze. After doing this little alteration, I felt much more comfortable wearing my pink dress, and it is now a great length for me. Yippee!